Plastic Curing Tank for Concrete Testing - Heavy plastic curing tank 650 liters capacity. Extremely robust and stable polyethylene construction, supplied complete with base rack. It can be fitted with the thermostat heating system with the submersible circulator pump..
We are leading manufacturers, suppliers & exporters of Plastic Curing Tank For Testing Lab for Concrete Testing Lab. 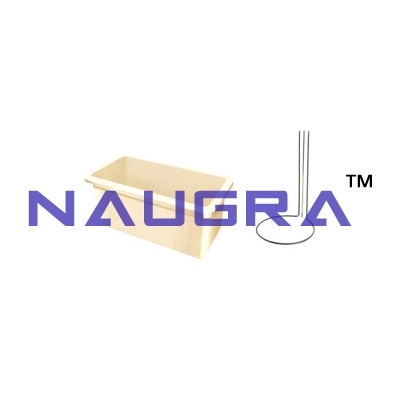 Contact us to get high quality designed Plastic Curing Tank For Testing Lab for Concrete Testing Lab for schools, colleges, universities, research labs, laboratories and various industries. We accept bulk orders for government tenders in all countries around the globe.